This time the castle is the monster! Obsidian Ridge hasn't been seen in Faerun for hundreds of years. It's a legend, a fairy story--until it appears, silently and without warning over the kingdom of Erlkazar, blotting out the sun. Steered by the madness of a cunning wizard, the citadel and its vast array of shadowy monsters will destroy all of Erlkazar unless the wizard gets what he wants: the princess of Erlkazar as a bride. But he'll have to battle the king's personal assassin, a loyal courtier, a complicated killer, and the princess herself to bring his plan to bear. 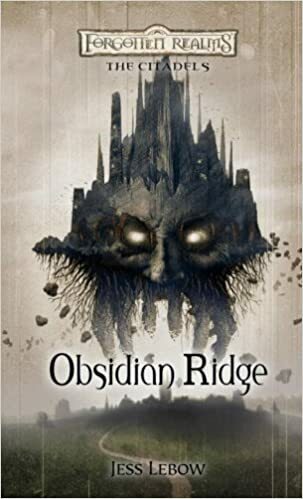 Obsidian Ridge continues the Citadels series with another story that explores the darker side of that iconic fantasy structure, the castle. Each book in the Citadels series is a self-contained fantasy in the Forgotten Realms world and can be read in any order.